As was hinted at in my last post the second of my Doctor Who-inspired mitten patterns has just been released. They do concern that most iconic of blue boxes - the Doctor's indispensable mode of transport (and some might say colleague,) the TARDIS. I call them the Police Box Mittens so as not to upset any of the Nice People at the BBC (Hi, Nice People at the BBC!) and so far they (the mittens, not the BBC people) have been very well-received. I, however, believe that they could go so much further - to the heights and depths of Time and Space, perhaps? We shall have to wait and see. 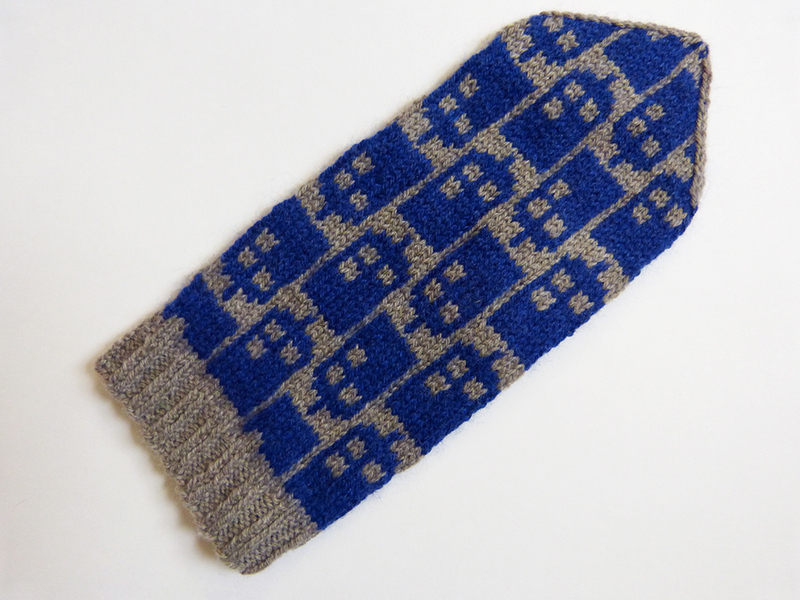 Never knit colourwork before? 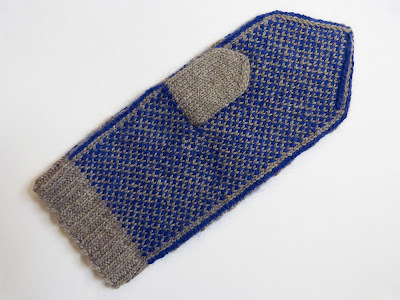 Since these mittens only use one contrast colour these ones would be a great place to start! Know a Time Lord or Companion with larger hands? These mitts are easily sized up by going up in yarn weight and needle size. Please note that in this case additional yardage may be required. It was during the making of these mittens that I was suddenly reminded of just how much I truly love producing colourwork things - both mittens and socks. This can only bode well for all of you - there are others on the way. And that elusive first book of mine too - oh yes. I haven't forgotten. * Etsy now offers INSTANT DOWNLOADS on .pdf knitting patterns, which just might be the BEST THING EVER. My three newest patterns (Lobsters, Bow Ties and Police Boxes) are currently available as such and I'm in the process of converting the entire stock of my Etsy shop into instant downloads as well. Just something to think about. May 28, 2013 at 10:05 a.m.
May 29, 2013 at 9:04 a.m.
May 29, 2013 at 10:10 p.m. These are great. I should really try the color work thing even though it scares me a little. June 2, 2013 at 11:20 a.m.